We create skilled makeup artists who raise the standards of the makeup industry. Founder and director of the makeup academy, Tara Anand Cowles, who has 30 years of makeup artist experience working for major shoots, magazines and runway shows based in Europe is the vision behind Artists Within Makeup Academy. At Artists Within Makeup Academy we teach you what you really need to know to be the best, what others don’t. Our makeup school has been producing successful makeup artists for 15 years. We have a formula that works. Our makeup academy is licensed and accredited giving you peace of mind that your makeup artist training is thorough and your diploma is of value. We are the only makeup academy in Canada to offer the ITEC makeup artistry certification which is recognized in 36 countries world wide. ITEC is the recognized leader in international makeup artistry and a significant advantage for our graduates. To date, our students have achieved 100% success, something we are very proud of. Fully accredited Full and Part time makeup courses available. Sessions start every 8 weeks. 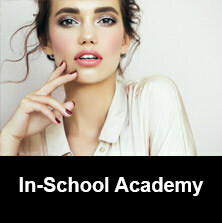 Sign up now, make your dream makeup career a reality! 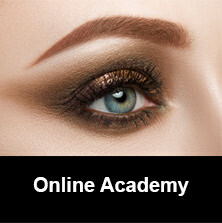 Our online makeup courses are available world wide. Study your makeup courses online from home at your own pace, create your own schedule, start your dream makeup career today! 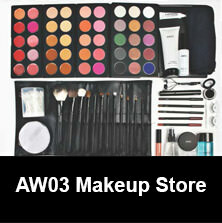 AW03 has put together a fully stocked professional makeup artist kit at a discounted rate with all you need to get started as a professional makeup artist. Created originally for the makeup courses online and the makeup school diploma programs this makeup kit is also perfect for active makeup artists or those hoping to get started! 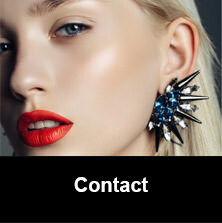 Designed for a makeup artist or hair stylist wanting to break into the editorial world. No cutting or coloring, just fabulous creativity! Do you have a drawer of products you have no idea what to do with? What colours work for you? How do you create a great everyday look? How do you apply so it lasts all day? What should you be doing with your brow shape and how the heck do you do all this in 5 minutes every morning?! Come and join Director of the makeup academy Tara Cowles as she answers all these questions and more in her interactive makeup lessons demo.